Catherine Robb is a PhD student and Research Assistant at Imperial College London; Neuroepidemiology and Ageing Research Unit. Her research is primarily exploring the role of physical activity in maintaining cognitive health in older age. More specifically, she is evaluating how physical activity interacts with established genetic, imaging and fluid biomarkers of Alzheimer’s disease in reducing likelihood of cognitive decline and eventual dementia. She is conducting a deeper investigation of the underlying biomechanisms associated with these processes including the exploration of certain neurotrophic factors and molecular pathways. 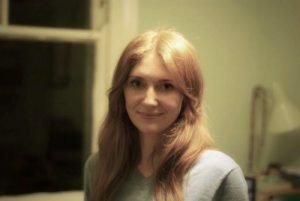 Coming from a psychological background, Catherine initially joined the department as an assistant psychologist supporting the coordinating of a large cohort observational study exploring early indicators of dementia and identifying sensitive cognitive assessments for detection of the earliest stage of cognitive decline.